Home » Exercise » Is being a night owl bad for your health? Night owls may have a higher risk of suffering from heart disease and type 2 diabetes than early risers. In the first ever international review of studies analysing whether being an early riser or a night owl can influence your health, researchers have uncovered a growing body of evidence indicating an increased risk of ill health in people with an evening preference as they have more erratic eating patterns and consume more unhealthy foods. The findings have been reported in Advances in Nutrition today (Friday 30 November). The human body runs on a 24-hour cycle which is regulated by our internal clock, which is known as a circadian rhythm, or chronotype. This internal clock regulates many physical functions, such as telling you when to eat, sleep and wake. An individual’s chronotype leads to people having a natural preference towards waking early or going to bed late. The researchers found increasing evidence emerging from studies linking conditions such as heart disease and type 2 diabetes to people with the evening chronotype – a natural preference for evenings. People who go to bed later tend to have unhealthier diets, consuming more alcohol, sugars, caffeinated drinks and fast food than early risers. They consistently report more erratic eating patterns as they miss breakfast and eat later in the day. Their diet contains less grains, rye and vegetables and they eat fewer, but larger, meals. They also report higher levels of consumption of caffeinated beverages, sugar and snacks, than those with a morning preference, who eat slightly more fruit and vegetables per day. This potentially explains why night owls have a higher risk of suffering from chronic disease. Eating late in the day was also found to be linked to an increased risk of type 2 diabetes because the circadian rhythm influences the way glucose is metabolised in in the body. Glucose levels should naturally decline throughout the day and reach their lowest point at night. 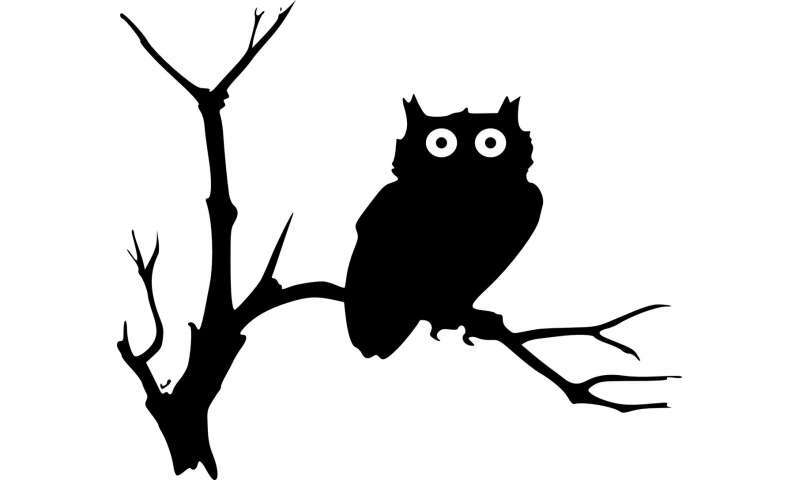 However, as night owls often eat shortly before bed, their glucose levels are increased when they are about to sleep. This could negatively affect metabolism as their body isn’t following its normal biological process. One study showed that people with an evening preference were 2.5 times more likely to have type 2 diabetes than those with a morning preference. This also impacts on people who work shifts – particularly rotating shifts – as they are constantly adjusting their body clock to fit with their working hours. The researchers found that this reduces their sensitivity to insulin and affects their glucose tolerance, putting them at greater risk of developing type 2 diabetes. People’s preferences to rising early and going to bed later change at varying points in the life cycle. The morning chronotype is more common in children and can appear when a baby is just three-weeks old. This changes during childhood. While over 90% of two-year-olds have a morning preference, this declines to 58% by the age of six, and shifts further towards an evening preference during puberty. This evening preference continues until an adult reaches their early 50’s and they then begin to revert back to a morning preference. Ethnicity and society can also influence your chronotype. For example, studies have revealed that Germans are more likely to have an evening preference in comparison to Indians and Slovakians. There can also be differences between people living in urban and rural areas in the same country. Another study noted that being exposed to daylight influenced sleep. Every additional hour spent outdoors was associated with 30 minutes of ‘advance sleep’ and that the noise, ambient lighting and crowding of urban environments can make people in some areas more likely to have a morning or evening preference. The study was led by Dr. Suzana Almoosawi from Northumbria University, Newcastle in the UK and Dr. Leonidas Karagounis, Nestlé Health Sciences in Switzerland with academics representing Nestlé Research (Switzerland) the University of Surrey (UK), Örebro University (Sweden), the National University of Singapore, the London School of Hygiene and Tropical Medicine, Ecole Polytechnique Federale de Lausanne (Switzerland) and Plymouth Marjon University (UK). Dr. Almoosawi, a Research Fellow in Northumbria’s Brain, Performance and Nutrition Research Centre, explained: “We have found that your genes, ethnicity and gender determine the likelihood of you being a morning or evening type. In adulthood, being an evening chronotype is associated with greater risk of heart disease and type 2 diabetes, and this may be potentially due to the poorer eating behaviour and diet of people with evening chronotype. Our review also found that people who have a poorer control of their diabetes are more likely to be evening types. “The review has highlighted a major gap in our understanding as to how our biological clock affects food intake in infants, children and the elderly. While most infants synchronise their body clock to that of their mothers, as they reach six-years of age, we observe that a large proportion begin to show signs of developing an evening chronotype. Whether physiological changes, school timings or social schedules determine this change, we do not know. The review team have called for more studies in the general population that define people’s body clock and how this relates in the long-term to their dietary habits and health. Dr. Leonidas G Karagounis of Nestlé Health Science, said: “Scientific evidence is providing increasing insight into the relationship between your chronotype, diet and cardiometabolic health. Overall, cross-sectional studies suggest that an evening chronotype is associated with lower intake of fruits and vegetables, and higher intake of energy drinks, alcoholic, sugary and caffeinated beverages, as well as higher energy intake from fat.